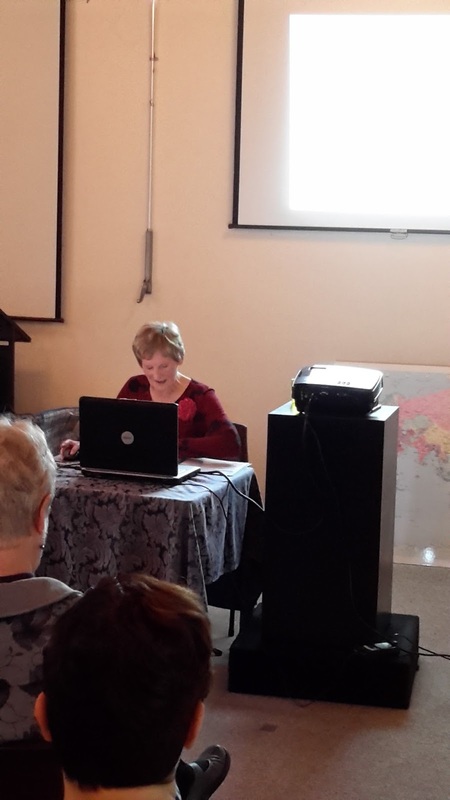 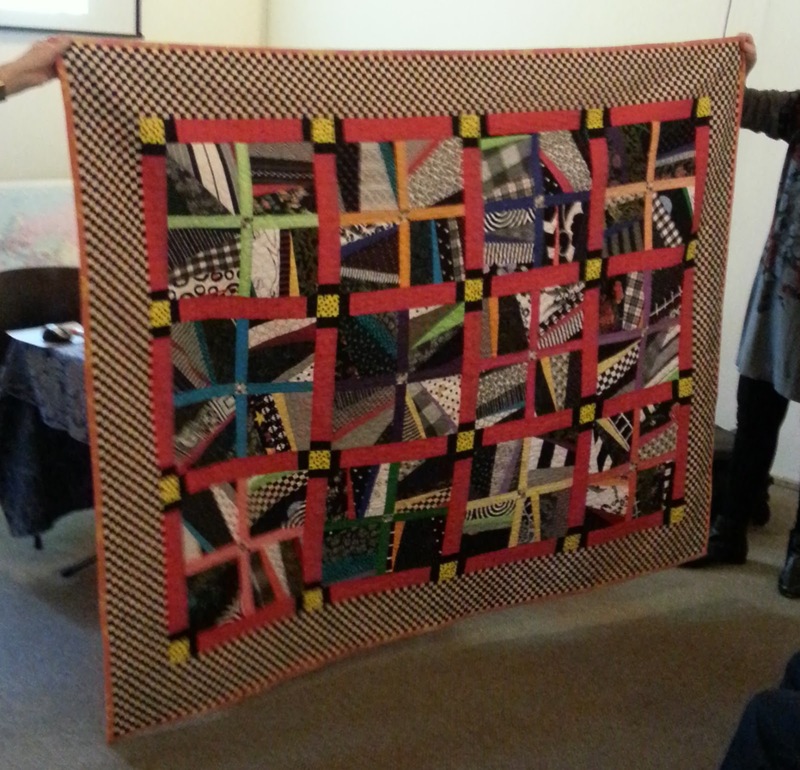 On Saturday the 2nd May 2015, Trudy Brodie spoke on the topic of Strip Pieced quilts. 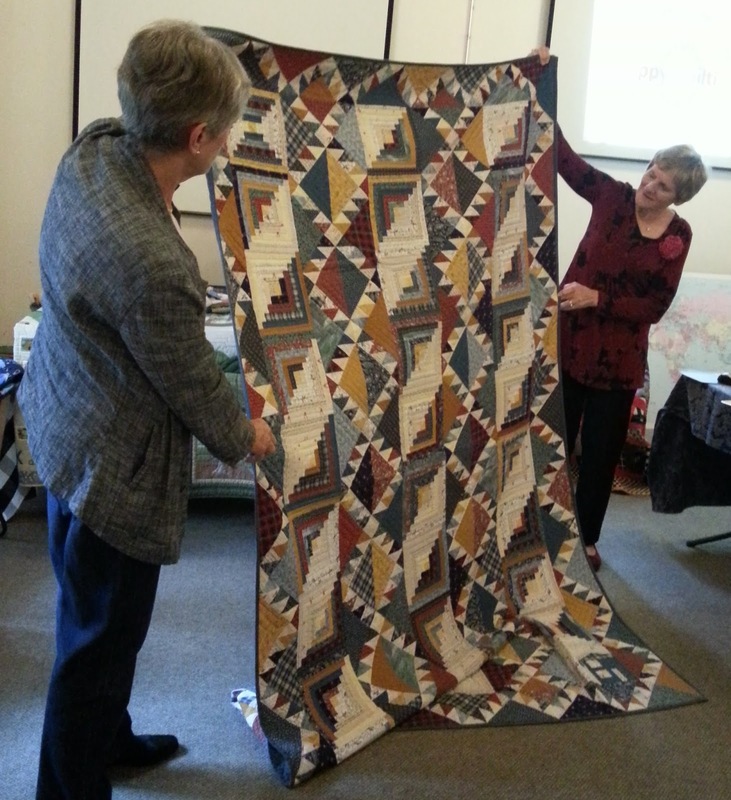 She said she has always been drawn towards traditional quilts and described how the places she has lived have influenced her development as a quilter. 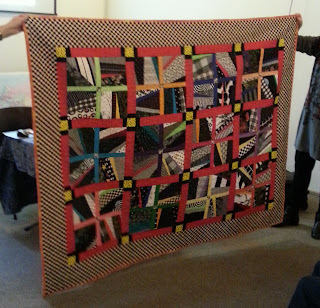 Trudy first discovered quilting when her husband was posted to Washington for 3 years in 1978. 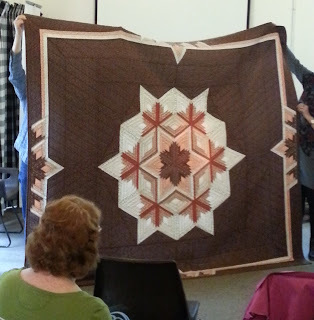 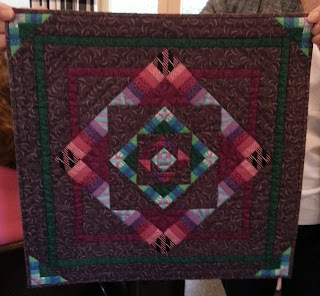 Inspired by a friend’s Lone Star Quilt, Trudy sought out a 6 week beginner’s class in 1981. Starting with the obligatory Sampler quilt in the browns and restricted fabric range then available to quilters, Trudy next made her own Lone Star quilt, 'American Memories', in red, white and blue prints she had bought in readiness in Washington. 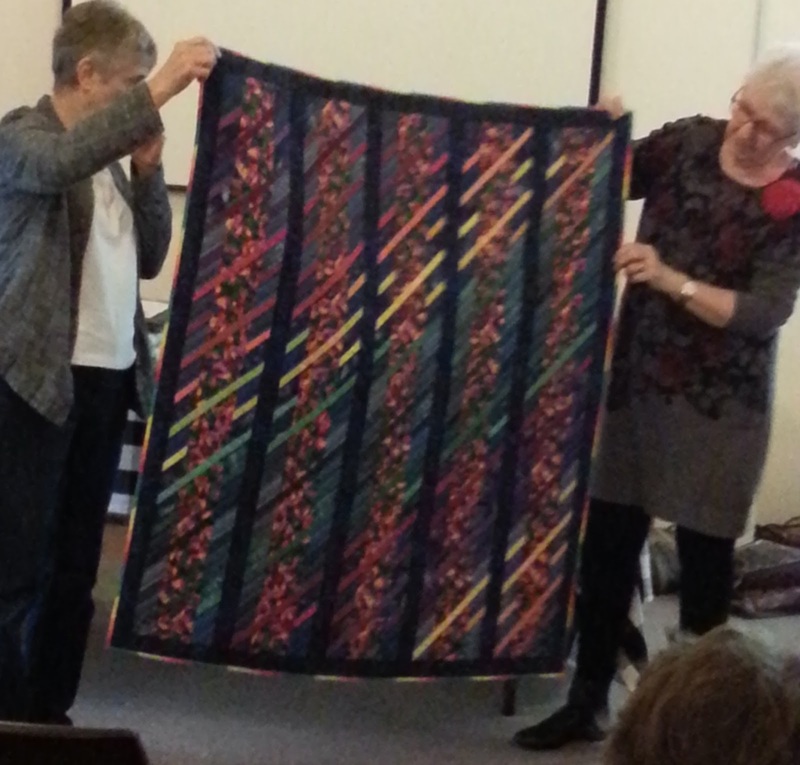 Trudy showed us a succession of the quilts she has made since. 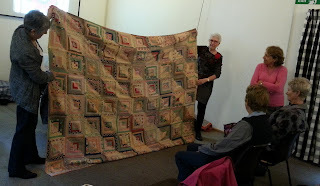 These first quilts were, of course, made using a 12 inch ruler, chalk to mark and dressmaking shears to cut the fabric. 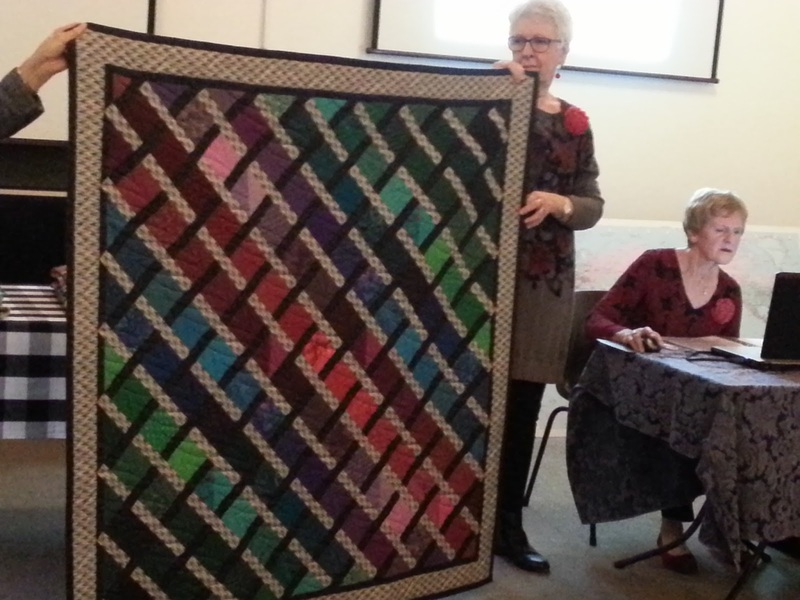 By the time she returned to Canberra and joined the local quilting group, Trudy had discovered her love for strip piecing – helped by the use of those new gadgets the rotary cutter and purpose-made plastic rulers. 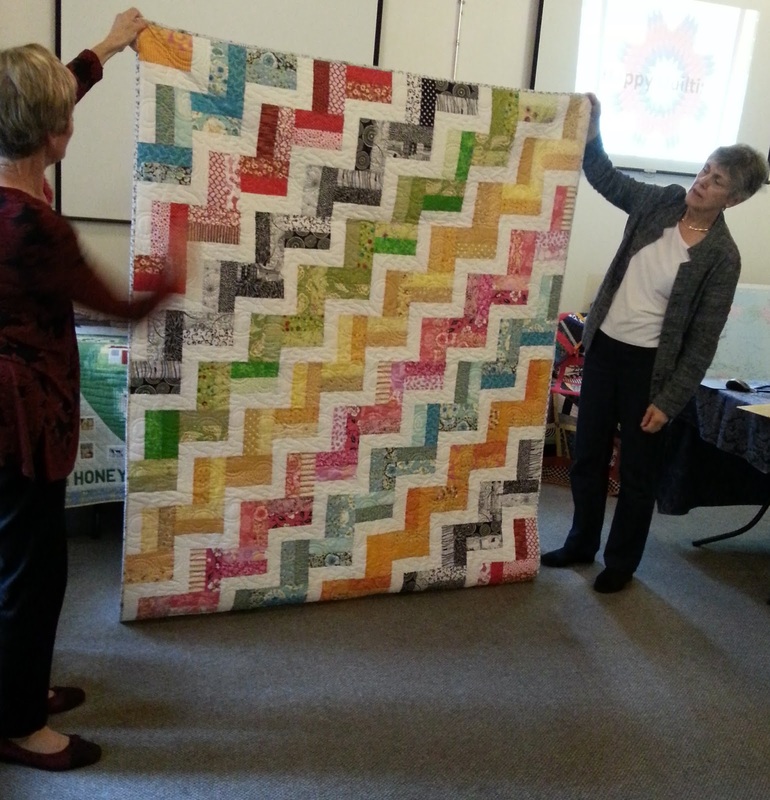 She grew fascinated by 60 degree log cabin variation strip pieced quilts especially when she saw one Maria McCormick-Snyder made in “100 Best Quilts of the Twentieth Century”. Since then Trudy has made a number of them. 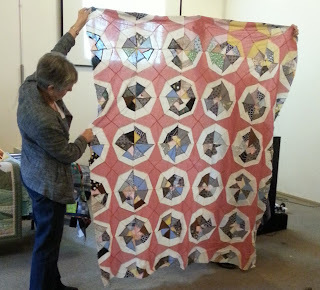 By the time of the Australian Bicentenary she had really mastered this pattern, as her copy of her ‘Diamonds Aglow’ which is in the collection of The Powerhouse Museum, proves. 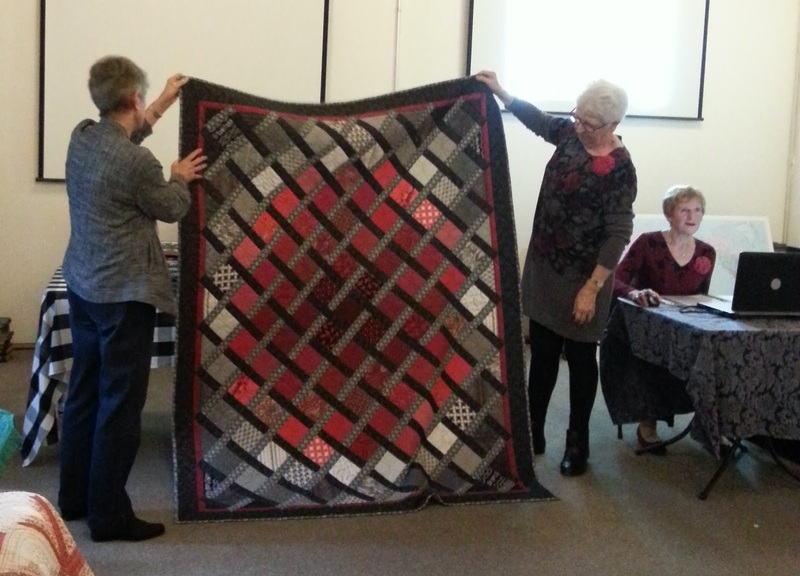 Trudy has produced a number of quilts on commission for Margaret Rolfe and been represented in quilt shows in Australia and overseas. 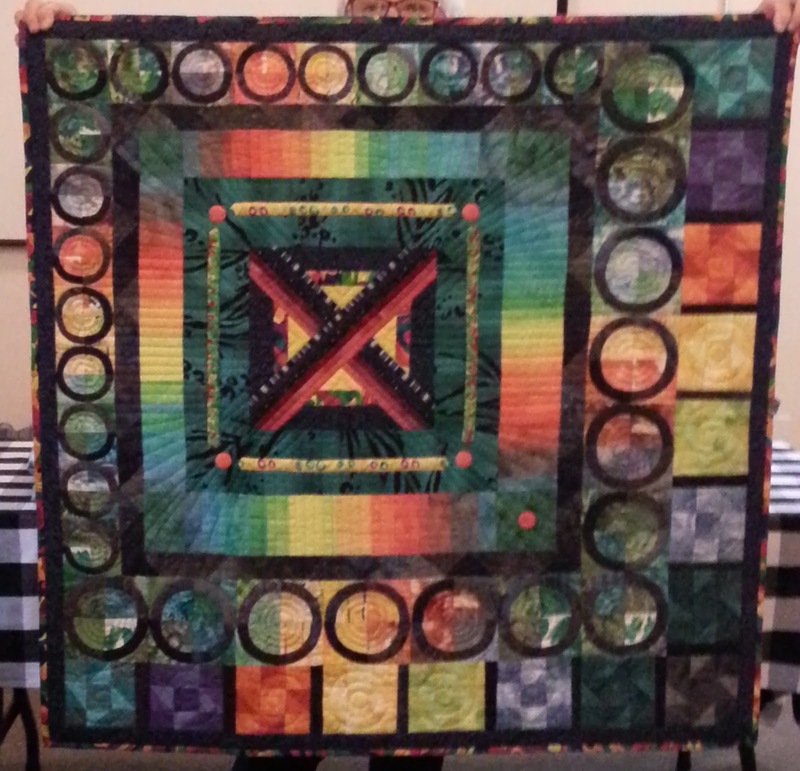 As the range of quilting fabrics and designs increased, Trudy embraced them and during a year in New York in 1993, she took the opportunity to take as many quilting classes and visit quilt shows as she could. 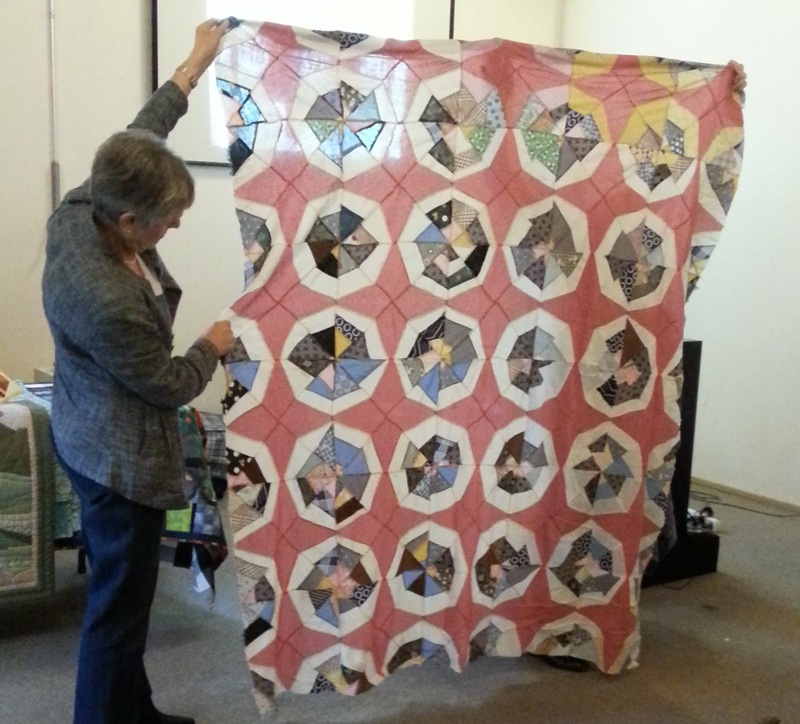 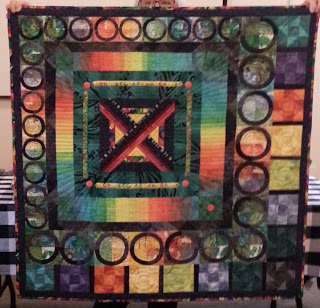 Trudy shared a number of lattice quilts she has recently made, and also showed us a wonderful Round Robin quilt made as a friendship project with Japanese quilters. 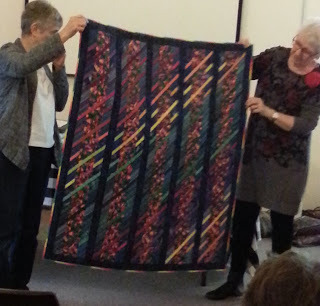 After Trudy finished speaking, Karen Fail showed us some of her US 1940’s strip pieced quilts and a quilt she made for Judy Hooworth for one of her books. Kaye Graham also showed examples of her strip pieced quilts, including a simple but effective rail fence quilt. Come along to the next Quilt Study Group of NSW talk on Saturday the 18th of July. Shirley Gibson will show us how she has made her wonderful collection of reproduction porcelain dolls and talk about doll making.